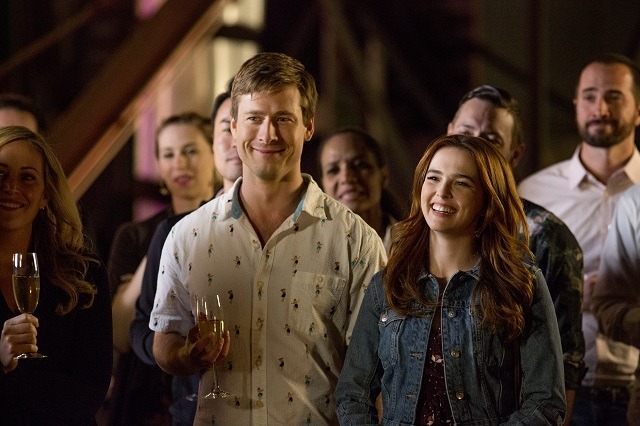 Zoey Deutch and Glen Powell showcase their comedic background in this funny romance. (SPOT.ph) Behind every powerful individual is a beleaguered assistant working furiously backstage. These are the hypemen (and women) who keep their boss’ lives running like a well-oiled machine. But what if they’re risking their own lives falling into disarray in the process? 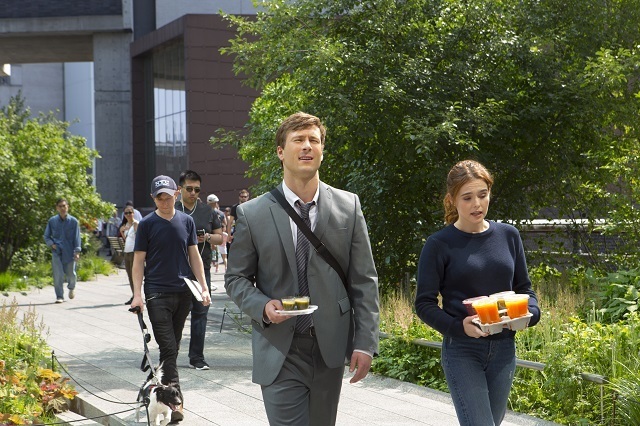 That’s what two overworked and underappreciated assistants, Harper (Zoey Deutch) and Charlie (Glen Powell), have come to realize as they spend one too many nights working overtime at the behest of their superiors. Harper’s boss Kirsten (Lucy Liu) does hard-hitting sports journalism on her own news site, while Charlie’s boss Rick (Taye Diggs) is a high-powered investment executive. Some of the ridiculously indulgent tasks they subject their hapless assistants to include Harper retrieving a jacket that she was asked to return to the store only moments ago and Charlie working on the science project of Rick’s son. Harper and Charlie have had enough and devise a plan to "set it up" (boom—title drop) so that Rick and Kirsten start dating. With their bosses preoccupied with dating each other, their assistants will have more time for some "me time." But will they be able to successfully pull it off? The powerhouse team of producers Juliet Berman and Justin Nappi (That Awkward Moment), writer Katie Silberman (Ben and Kate), and director Claire Scanlon (Unbreakable Kimmy Schmidt) have enough collective experience in the rom-com genre to have expert knowledge of the tropes, giving them leeway to play around with it. They give us a romantic comedy, which tips its hat off to the classics—like It Happened One Night and His Girl Friday—while staying grounded in a self-awareness that’s of this generation. Bustling New York serves as the appropriate backdrop as both protagonists represent the living embodiment of the tagline, "the City that Never Sleeps." The claustrophobic sensation of being trapped within the confines of an office was executed through tight shots when the leads were going about their work or scheming together. It makes both the characters and the audience forget that they’re walking through some of New York’s landmarks such as the Yankee Stadium. But when Harper and Charlie are just having fun, the atmosphere feels less constricting and you breathe a sigh of relief as you’re given wider shots of the cityscape. Now, the concept of the scary boss and the tortured assistant is nothing new—with the most notable example being The Devil Wears Prada and the infamous Miranda Priestly. Nor is the idea of the convoluted set-up date an innovative idea with Clueless and—as mentioned by Charlie in the trailer—the Lindsay Lohan remake of The Parent Trap. But both Charlie and Harper know that they’re about to embark on a mission riddled with romantic clichés. While watching them go through the motions in order to execute their joint plan, it almost feels like they could do a sidelong glance at the audience at any moment. There’s even that classic anguished declaration but done in quite an unusual way that you’ll have to find out for yourself. Zoey Deutch has already shown comedic chops in the movie Why Him? and exudes the same charm as her mom, ’80s teen queen Lea Thompson. She portrays the plucky girl Harper and speaks with a coffee-fueled frenetic pace. As an aspiring sports writer and avid fan, Harper has the stereotypical male role in these kinds of movies. On the other hand, Glen Powell’s last notable role was playing the astronaut John Glenn in Hidden Figures. In Set It Up, he plays the more straghtlaced go-getter in contrast to Harper’s more freewheeling attitude. But their initial characterizations aren’t followed rigidly: The usually positive Harper will have moments of panic while the uptight Charlie tends to goof around on his own time. The chemistry between the two leads come from a sense of familiarity from actually being friends in real life. Both actors previously worked together on the Richard Linklater comedy film, Everybody Wants Some!! The playful banter between their characters Harper and Charlie comes naturally. It wasn’t love at first sight but their friendship grows organically as they develop mutual respect for one another. In between the scheming, the two have conversations that sound awkward but real—the kind you’d talk about with a friend. At one point, Harper laments that her tongue has probably atrophied from the lack of use in the kissing department. And if you've been single for quite awhile, you can't help nodding in commiseration while muttering, "Same." Set It Up’s nightmare bosses are played by Lucy Liu (who's currently in the hit series Elementary) and Taye Diggs, who starred in last year’s 'Til Death Do Us Part. These veteran actors use their years of experience to portray a commanding presence as Kirsten and Rick, respectively. While they have obvious unbecoming qualities, they are both shown to be efficient in their field of work, earning both the fear and admiration of their assistants. As with the main pair, Lucy and Taye have also worked together years prior in Ally McBeal. This lends an interesting dynamic for both pairs as it makes it easier to play off each other. It would've been better if more time was spent on fleshing out these impressive albeit very flawed characters. And what kind of romantic comedy would it be without having not one, but two besties? Charlie’s funny best friend Duncan (Saturday Night Live’s Pete Davidson) is a gay teacher who is refreshingly not defined by his sexual preference. But if there's an award in the BFF department, the trophy goes to Becca (Search Party’s Meredith Hagner), who gives Harper that much-needed tough love and reality check. Still, Set It Up is not without its faults. There is a particular scene, which falls a little flat as it resorts to gross-out humor, which takes away from the overall likeability factor of the film. The transition from one scene to another can feel disjointed as you don’t know how many days have passed. There were also some side plots that could have been done away with in order to make more time for character development. While the literary references made by Harper about Cyrano de Bergerac and Shakespeare are appreciated, it feels like lazy shorthand to show that’s she a writer. There could have been more natural and subtler references that would have done the job. Charlie also has moments that would remind you of Powell's frat-bro persona Chad Radwell from Scream Queens. It seems to stretch the suspension of disbelief that Charlie would be the type to be downtrodden and kowtow his way to the top. Even Harper points out the obvious privilege that someone like Charlie would have in the work environment as a relatively good-looking white dude. More than the romantic entanglements of the main couples, the important relationship that needs to be addressed is the one between boss and subordinate, mentor and student. The kinds of tropes you would expect to see between people dating were applied to how each assistant viewed the person they were working for. All they want is for their bosses to appreciate the work they’ve done but they also realize that the people they look up to are not without their faults. Harper and Charlie have spent all this time seeking validation from their bosses without getting any result. But their superiors exhibit immature behavior, throwing tantrums at their assistants, who essentially act as their babysitters and keepers. It’s when Harper and Charlie realize how much power they wield over the bosses' lives that they learn what they’re truly capable of outside of them. 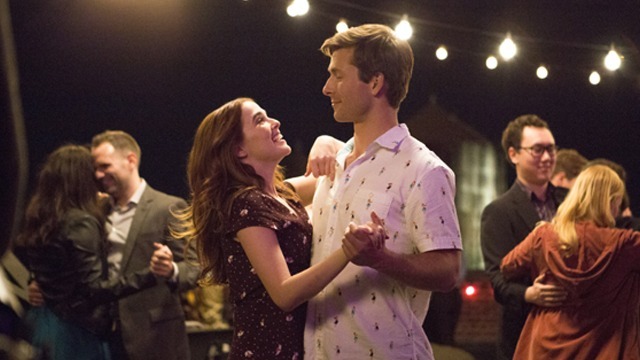 Set It Up is a charming rom-com without falling victim to the pitfalls that makes most "chick flicks" so cloyingly sweet that it makes you want to gag. It laughs at the ridiculousness of the romantic tropes. (Also, if you loved Titus on Unbreakable Kimmy Schmidt, you’ll see him in a more subdued yet quirky role.) It gives respect to the romantic films of the past, while also applying the #woke sensibility of these diverse and modern times. There's a scene where Charlie earns the ire of the crowd under the false pretense that he is homophobic (which he isn't, but it’s a long story). There’s no actual villain in this film; while everyone is driven by their own needs, they're just a bunch of adults realizing their vulnerabilities. 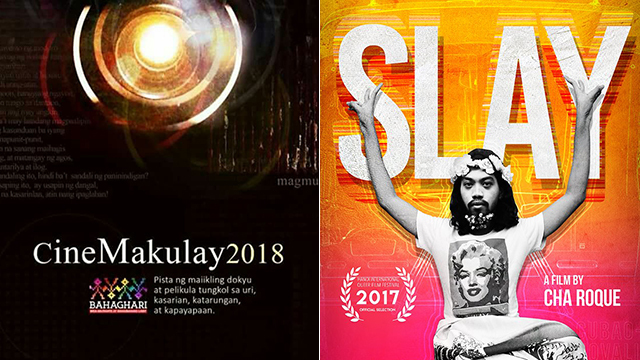 There’s a lot to relate to in the movie, especially if you’re a 20-something office worker—making for a light but entertaining watch that isn't like your usual. Set It Up is now streaming on Netflix.